The multi-award winning, Edinburgh based boutique spirits company Wemyss Malts, has today announced the launch of a new blended Scotch malt whisky. 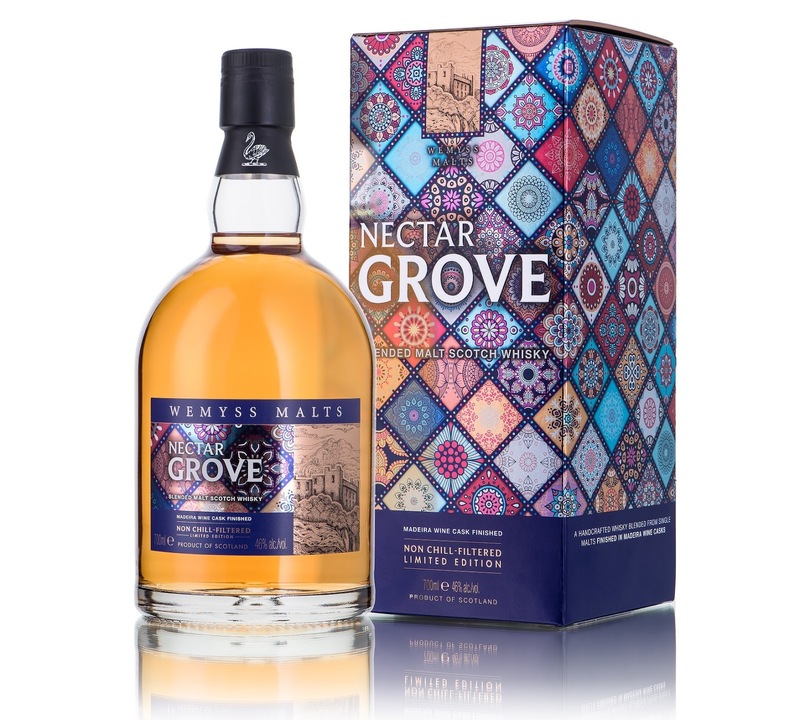 Wemyss Nectar Grove (46% ABV) has been produced using a combination of Highland Scotch whiskies, which were finished in casks that previously held Madeira wine. As per previous releases from Wemyss Malts, such as The Hive, Spice King and Peat Chimney; this new whisky has been given a flavour led name by the Wemyss tasting panel which reflects its character. Wemyss Nectar Grove, which is the brands first foray into finishing, is said to deliver fruity and complex sweet flavours of Madeira wine and reminiscent of a ripe fruit grove of peaches, nectarines and citrus. Followed by a gentle oak spice, sweet pastry, juicy stone fruit led finish. Limited to just 9,000 bottles, Wemyss Nectar Grove, will be available later this month from specialist retailers, for a RRP of £43.95.